Minimally invasive surgery and automated monitoring systems relieve the workload of medical staff and increase patient compliance. They provide patients with more freedom of choice and make them more self-reliant. How? A keyhole operation causes far less damage to the patient than a conventional operation which substantially shortens the recovery time and therefore the length of hospital stays. Autonomous robots or steerable instruments navigate in and around the body under full control. Biosensors carry out measurements in the body and sound the alarm if there is a bacterial infection that could endanger the patient. Advanced models from cellular to organ level provide additional information that makes diagnoses more accurate. Anonymised images from smart cameras in patients’ homes facilitate monitoring of and warrant patient safety during the recovery process. Hazardous situations are detected at an early stage so paramedics can arrive on the scene sooner in an emergency. Minimally invasive surgery and interventional techniques are changing the face of healthcare. The approach allows operations without making large incisions and gives patients all the benefits of traditional surgery, but with less pain and faster recovery. These techniques are broadening the field of surgical applications, but they also demand new, innovative instruments and guarantees of medical safety. Using a clinically driven approach, Jenny Dankelman’s research teams in the Dept. of Biomechanical Engineering at TU Delft are working to improve minimally invasive techniques. A number of challenging projects are developing new instruments, mechanisms, training systems and improvements to operating theatre design. “All our researchers collaborate very closely with clinicians,” explains Dr. Dankelman. “They have to understand current clinical practice and the design limitations. Minimizing complexity is vital, leading to systems that are both easier to use and affordable.” Now used in hospitals worldwide, the group’s SIMENDO virtual reality skills trainer is just one example of the success of their approach. Al onze onderzoekers werken nauw samen met klinisch specialisten. One project showing great promise is developing sterile isolation systems for minimally invasive surgery in collaboration with technology start-up MediShield. The goal is to design a simple, affordable, reliable, and effective isolator for interventional procedures that allow movements of standard laparoscopic instruments with four degrees of freedom. The isolator systems protect the patient against infection due to contamination while instrument movements are not restricted. 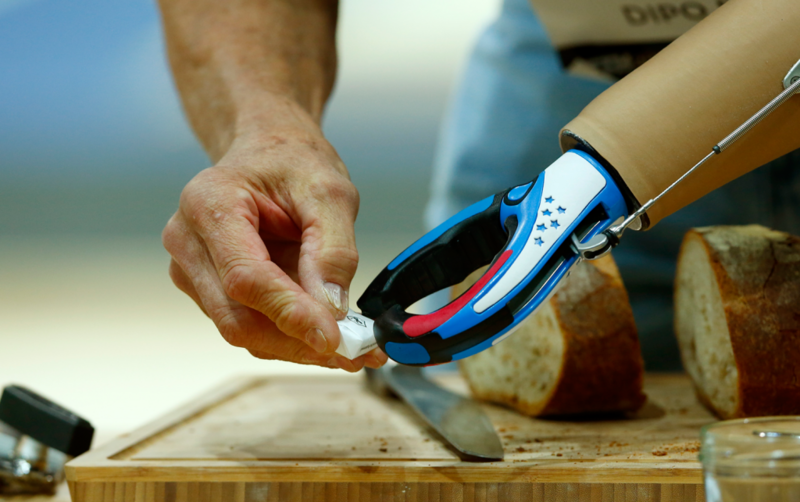 They also reduce the possibility of errors by increasing the haptic feedback received by the surgeon during delicate tasks. As well as reducing contamination risks in operating theatres, they can create a local clean room’ around the incision and instruments where surgery can or must be performed without a totally sterile environment. “One of our most challenging long-term goals is to be able to reach all parts of the body with minimally invasive interventional techniques, of course with minimal damage to healthy tissue. We also want to be able to treat, manipulate and diagnose tissue locally. Prof. Frans van der Helm leads the BioMechatronics and BioRobotics section of the Dept. of BioMechanical Engineering. “We model the way people control the musculoskeletal system, for example in our shoulder model and HiBi mechanics research,” he explains. “We also look at neural control, where we’ve developed diagnostic robots to measure the way that patients continuously modulate their position, velocity and force reflexes. The objective here is to measure or diagnose motor control problems. These may be the tremors of patients with Parkinson’s disease, stroke patients exhibiting spasticity, or patients with complex regional pain syndrome with signs of severe dystonia. We model the way people control the musculoskeletal system. “We collaborate intensively with a number of university medical centres in research in the area of neuromuscular control. We work with the LUMC Rehabilitation Medicine department in assessing diagnostic tools for stroke patients for example, measuring spasticity and its origins. Traditionally, the spasticity of patients suffering from motor control coordination problems is measured by a device that stretches the elbow quickly. The resistance felt is used as an indication of the severity of the spasms. “As a control engineering group, we develop control models from a mechanical and theoretical point of view. We’ve gained deep insights into position velocity control, and we’re the first group in the world that has been able to model force control effectively. This has provided a lot of information, but I would like to know the role played by the different areas of the brain. 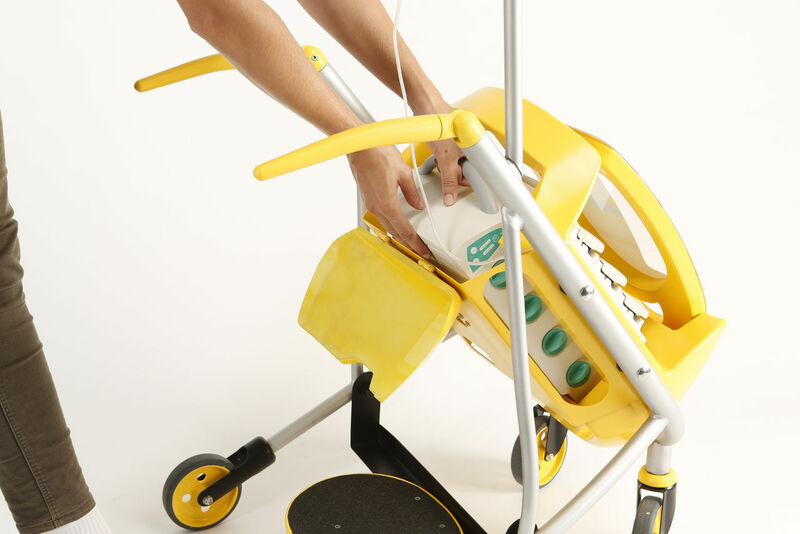 Richard Goossens is head of the Healthcare research programme at the department of Industrial Design Engineering. IDE health researchers develop design requirements, design methods and actual products for a medical environment. “Patient safety is paramount,” says Goossens, “but to achieve this, specialists have to be able to work safely and effectively in a comfortable environment. Our research focuses on these three themes: patient,specialist and medical environment”. IDE health researchers set up a study on teleconsultations in a real-life setting on one of the Dutch Islands, where the inhabitants rely on mainland hospital care. Video consultations in this setting not only save time, but also enable group consultations between a patient, his general practitioner and the specialist in question. The project was runner-up for the Spider Award 2009, a prize for the most innovative ICT project in healthcare. Researchers from medical, ergonomic, psychological and technological backgrounds are working together with designers to develop a new vision of surgery: the ‘surgeon’s cockpit’. “Specialists often perform surgery in uncomfortable positions and instruments are often difficult to use,” explains Goossens. “In other words, medics operate under challenging conditions. This places high demands on the exchange of information and on the way in which existing protocols are applied.” Therefore, the Dutch Healthcare Inspectorate recently decided that operating theatre staff must implement a ‘time out procedure’ to prevent errors. Medics go through this procedure just prior to operating on the patient, much like the safety check in an airline cockpit. Delft University researchers in collaboration with Erasmus Medical Center and Catharina Hospital in Eindhoven developed the ‘Time Out Procedure plus Debriefing’ (TOPplus). 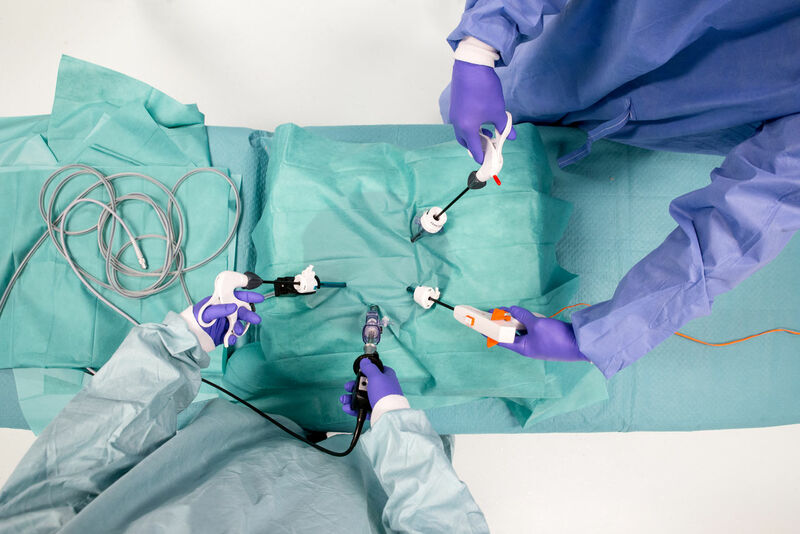 This procedure is now being used in the operating theatres of 16 hospitals across The Netherlands.